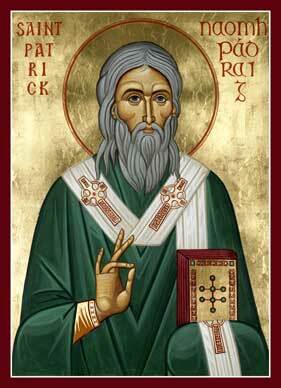 Today we celebrate Saint Patrick of Ireland (c. 390 – c. 461). He was the son of a deacon and a grandson of a presbyter (priest). Although born into a Christian family, he was spiritually complacent until his enslavement by Irish raiders precipitated a spiritual crisis. His brand of Christianity can be labelled Celtic Christianity, much like that of Saint Columba. Saint Patrick was not a Roman Catholic. Ireland and Britain did not begin to come under papal rule until Pope Gregory sent Augustine of Canterbury in 596. We celebrate the life of Saint Patrick, especially his bringing the Good News of Christ to the pagan Irish and Britons. We also reflect on his upholding the Orthodox faith in the Trinity. I recently received some questions from a reader about Saint Patrick’s understanding of the Trinity, especially with respect to the Filioque. How do we know what a pre-schism saint in West or in East would have believed about the procession of the Holy Spirit (& the Filioque issue) if he (or she) left no oral or written tradition of having even considered the theological-doctrinal issue? Do we assume they all knew and believed the Creed of Constantinople I (after that council) (or would have believed it before that council formulated the Greek words)? Since the Holy Spirit like the Father and the Son Jesus Christ is ever the same God, should we not assume Saint Patrick was not necessarily bound to endorse everything Augustine of Hippo speculated on the "Filioque", and that even Augustine himself did not hold the Filioque as a dogma necessary for (unto) salvation? What did Saint Patrick say on the Trinity and on the Holy Spirit? The question about whether Saint Patrick followed the Creed of Constantinople (381) seems to assume a top-down understanding of how the early Christians did theology. 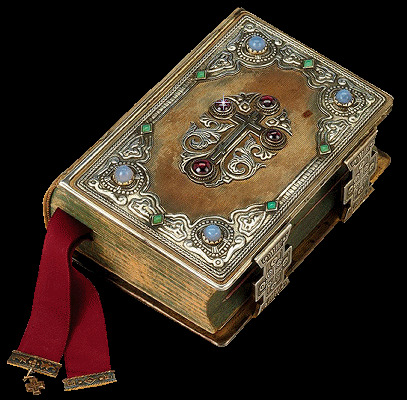 One also needs to take into consideration the fact that as Christianity spread across the ancient world, the Church’s teaching on the Trinity was transmitted via the Regula Fidei – a baptismal creed that the bishop or priest transmitted (passed on) to the catechumen. The primary source for the early Church’s theology was Apostolic Tradition. We find evidence of the Trinity in the early creeds like the Apostles Creed which presented the Church’s Christology and doctrine and the Trinity in short, terse phrases. It was not until the Arian controversy of the fourth century that the creeds took on a more formal and precise form that we know today. Could Saint Patrick have known of Augustine of Hippo’s teaching on the double procession of the Holy Spirit? There is no definite answer here, just speculation based upon the few facts known about his life. We know that between his escape from Irish captivity and his later return to Ireland as a missionary, Patrick undertook theological studies in Gaul. He studied in Auxerre (Burgundy), visited Marmoutier Abbey in Tours, received the monastic tonsure at the Lerins Abbey, and ordained to the priesthood by Saint Germanus of Auxerre. If we assume that Patrick completed his formal studies by age 30 (circa 420), then he was studying theology while Augustine was writing De Trinitate circa 399 to 419. Given the limited interchange between Ireland and Gaul in that period, it is improbable that Patrick knew of Augustine’s theological speculations. Patrick became a monastic in Lerins, where there was some independence from Augustine of Hippo’s influence. Vincent of Lerins (d. 445) is reputed to have opposed Augustine of Hippo’s “new” theology. 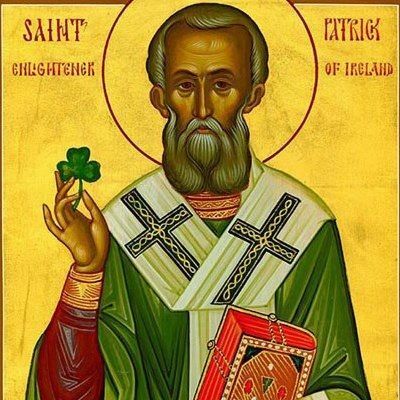 Did Saint Patrick know of the Council of Nicea and the Council of Constantinople? Given his studies in Gaul in early 400s, a few decades after the first two Ecumenical Councils, it is quite probable that he knew of the two councils and the theological issues involved. The well known Saint Patrick’s Breastplate or Lorica of Saint Patrick reflects an oral tradition that goes back to Saint Patrick. Careful reading of this rune (prayer song) helps give insight into how Saint Patrick and other early Christians understood the Trinity. The doctrine of the Trinity in the Breastplate reflects more the terse aphorisms of early baptismal creeds than elaborate formulas that would emerge in the wake later controversies. In the opening and closing stanzas, Patrick does not express intellectual assent to a detailed theology of the Trinity as he binds himself to the Triune God for protection, succor, and guidance. He understands being a Christian in terms of personal union with Christ. It is in union with Christ that we have eternal life and are saved. In the second stanza, Patrick recounts Christ’s saving work following the narrative of the ancient creeds. In the third stanza, Patrick invokes the help of the heavenly hosts and the Church Triumphant. In the fourth stanza, Patrick reflects on God’s creation which is charged with divine grace. In the fifth stanza, Patrick reflects on the many ways God works in our lives. God holds us; He guides us; He teaches us; He shields us from harm; He hearkens to our needs; and He gives us words to speak. The sixth stanza invokes Christ’s victory over the powers of darkness. The seventh stanza is an extended meditation on the many ways Christ is present in our lives – this is a profoundly intimate union that Christ has with us. In the closing stanza, Patrick returns to the theme of personal union with Christ. It speaks powerfully today to Christians living in a post-Christian world as it did to Saint Patrick’s pre-Christian Ireland. May we learn from Saint Patrick’s fierce, strong love for Christ. Wishing you a blessed Saint Patrick Day - 17th of March 2018!